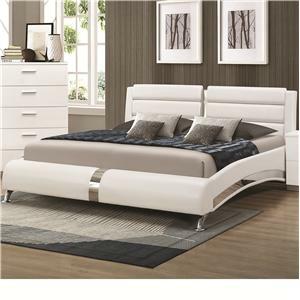 Get the best in style and function with this transitionally styled bed. 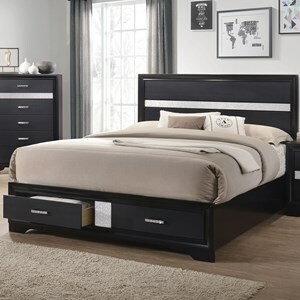 A beautiful upholstered headboard adds distinct style and elegance to the piece, while two footboard drawers give you the extra storage you need. 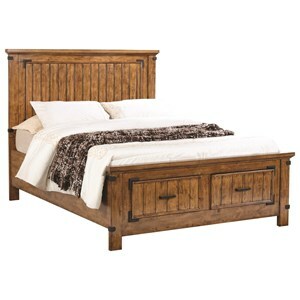 Sturdy sideboards give you great durability and a rich cappuccino finish brings the whole bed together. What's not to love? 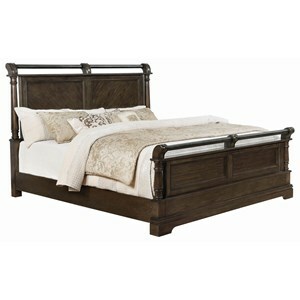 The Jaxson King Bed with Upholstered Headboard and Storage Footboard by Coaster at Value City Furniture in the New Jersey, NJ, Staten Island, Hoboken area. Product availability may vary. Contact us for the most current availability on this product. 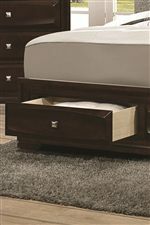 203481KEB3 King Footboard Drawers 1 0" 0" 0"
203481KEB2 King Side Rails 1 0" 0" 0"
203481KEB1 King Headboard and Footboard 1 0" 0" 0"
The Jaxson bedroom collection brings a functional design along with casual elegance. 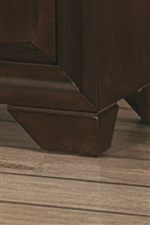 This collection will complement a variety of home styles, due to its transitional design elements. 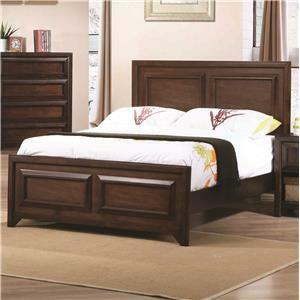 The pieces features beveled drawer fronts and felt lining. Store clothing and linens in the footboard drawers and throw some decorative pillows to accent the beautiful upholstered headboard. 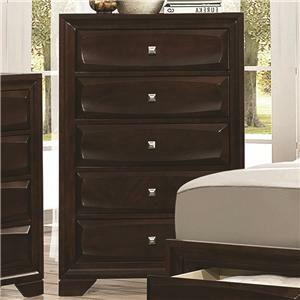 Silver-brushed hardware is a gorgeous accent against the attractive cappuccino finish. 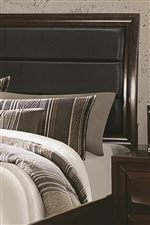 The Jaxson collection is sure to make any bedroom feel warm and refined. 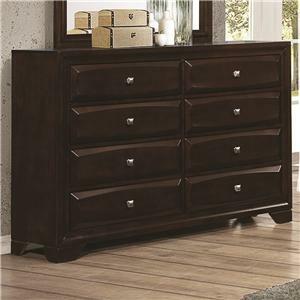 The Jaxson collection is a great option if you are looking for Transitional furniture in the New Jersey, NJ, Staten Island, Hoboken area. 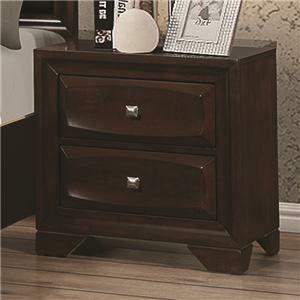 Browse other items in the Jaxson collection from Value City Furniture in the New Jersey, NJ, Staten Island, Hoboken area.